To explore and enjoy Argentina we can offer you a great variety of tailor made travel programs, all according to your tastes & travel preferences. The following offers are only some sample itineraries of a much wider variety of possible travel programs. We especially show some trip itineries in Northwest Argentina on our site as the Northwest is often overlooked by travelers. 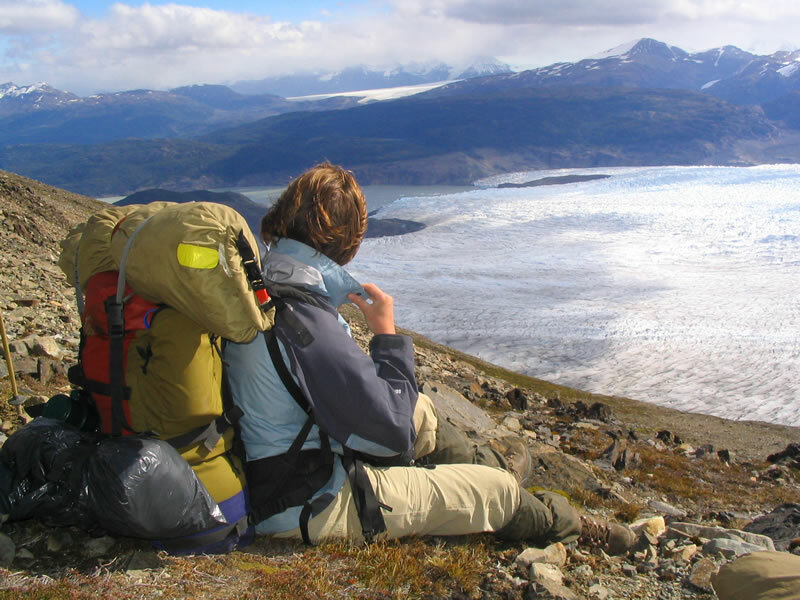 Patagonia can be of course included in every roundtrip. On request we can send you a digital travel catalogue of travel packages in which you can see quickly what kind of itineries are possible from Iguazu to Patagonia before we start making your tailor made holiday. This catalogue contains travels that are already designed and quoted for different hotel classes. For the NW Cordillera de los Andes, Salta, Atacama desert & Uyuny saltflats we offer exclusive private driver - guide services. When you like to ski we can offer packages at all ski resorts of which Ushuaia, Bariloche and Las Lenas at Mendoza are the most important centers of Latin America. You can in one travel ski in the high Andes of Argentina at luxury ski resorts, dance tango in Buenos Aires and enjoy a tropical beachstay in the end at boutique Paraty, the beaches of Ilha Grande & Trindade with the samba rhyms and bossa nova of Rio de Janeiro. Northern Argentina offers fascinating sights to the visitor, with its varied and distinct native cultures set in their beautiful natural surroundings of Andean volcanoes, deserts, multi colored rock formations and green oases. We bring you in touch with its people, to learn their music, understand the regional variations, to fully enjoy the flavors of its Andean cuisine, discover incredible wineries hidden in the middle of imposing mountains. Northern Argentina is a hidden gem to be explored and experienced. Here you find the soul of indigenous cultures mixed with Spanish influences. One of the highlights of Argentina is to travel through the Andes chain from Salta into the Atacama desert and saltflats of Uyunyi, it has immense nature of volcanoes combined with Andean cuisine, wine tasting, boutique spa’s, for those who love adventure and luxury travel. We offer selfdrive itineries & guided trips for groups through Argentina and like to show you the possibility, for those who have the budget, to travel with a private guide - driver. This can be for a special holiday, for a gourmet – culinary tour exploring the Nova Andina cuisine and wines, for a wellness holiday in the Andes, scouting for shooting locations, real estate, for making a film documentary. We form part of a professional audiovisual team and can help you further with all audiovisual equipment and take care of all logistics for a photo or film shooting in case this might have your interest as well. 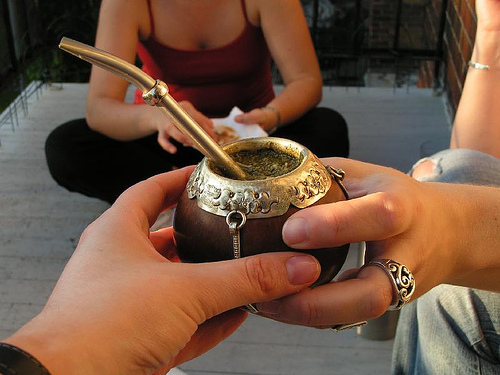 A traditional made yerba mate and a master class how to prepare your gourd with fire, charcoal and sugar will be part of the journey. In this itinery we show you an example of how to combine Salta as a starting and ending point together with the Valley of Calchaquies and a visit to San Pedro de Atacama in the driest mountain desert of the world in Chile. After Salta we drive to Cafayate and Cachi in the Valley of Calchaquies with Indian villages, famous wine houses, abandoned haciendas, snow capped volcanoes, plains with giant cactuses & amazingly polychrome rock formations. From Cachi we return to Salta, continue to Purmamarca from where you can decide to cross the Andes to San Pedro de Atacama via the Lema pass. You return via another pass and the Toro canyon to Salta again. These are 2 circular itineries joined in an eight shaped loop with the great advantage that we pick and drop off our car at Salta. You can also start and pick up your car at Catamarca or La Rioja and travel from there over the famous N40 to Cafayate, Cachi and Salta and drop off the car finally at Salta, but the drop off costs are very high due to the large distances that are covered in Argentina, so this is not the best option. The itinerary from Cafayate to Cachi goes mainly over dirt roads and can be accomplished without problems with a normal car in the dry season from April to December. In the wet season part of these roads are flooded by rivers and only accessible with a 4x4 pickup. The rest of the roads mentioned have access all year round for a normal car. Accessibility of the roads in the high Andes always need to be checked with local police stations during the rain season. These itineries can also be booked as selfdrive programs by us. For selfdrive programs it requires good Spanish language skills, experience with orientation using maps & GPS, and not to forget thorough driving experience. 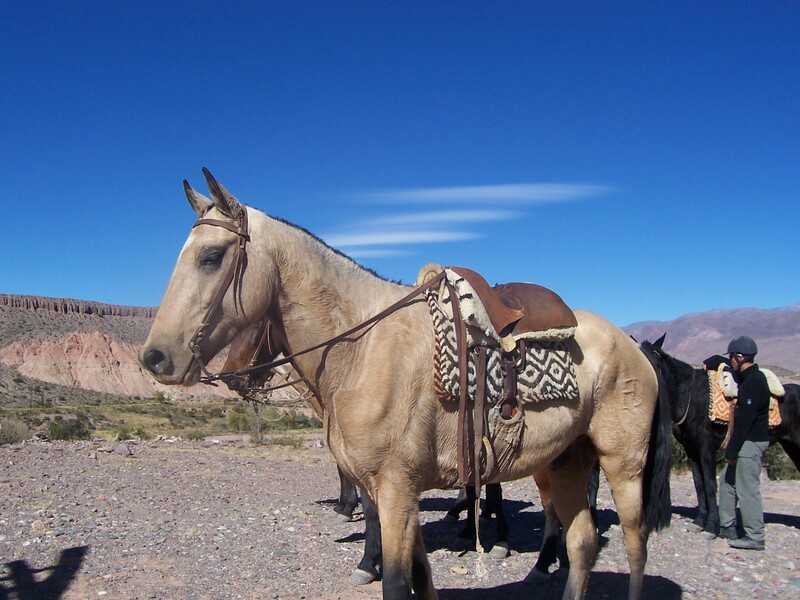 Treks on horseback or on foot of 3-10 days, guided by authentic Gauchos can be added to your program, see the reviews for horseback trekkings in NW Argentina on this site. You travel through fascinating valleys & mountains with pre-Inca & Incaica sites, with remote haciendas, puma’s and condors, amazing pre-Inca petroglyps, you cross through an area where you can come only on foot or by horse, the postman and priest still travel that way. We also offer guided private roundtrips at Mendoza & San Rafael, including gourmet cuisine, wine and olive tasting, boutique wineresorts, Aconcagua park, day and night visit to the observatory Leoncito, staying at boutique pousada La Querencia, Barreal (San Juan province), visit Caverna de Las Brujas, Laguna de Llancanelo and volcano national park la Payunia, visit to the observatory Pierre Auger at Malargue, Pozo de las Animas, Las Llenas - one of the best ski centers of Latin America and boutique spa Therma Cacheuta near Mendoza. More options are to cross the Andes and travel from Mendoza (or from San Juan as starting point to Valle Elqui - Selena in Chile) to Valparaiso at the Pacific Ocean or Santiago de Chile with your private guide-driver in 4-5 days. Traveling with your own driver is one, traveling with a guide that has traveled and guided all over Latin America is another story tale. Your guide has a University degree, speaks fluent both English & Spanish, is a certified mountain leader, has guided more than 120 trips and is well trained in driving on difficult terrain also with 4x4 vehicles. The combination of thinking out of the box and the radiation of a guide with a mission can make this trip a real unforgettable experience. A guided trip can be one on one, it can be for a couple, family with kids or for a whole group. It can be a top luxury travel, we can also stay at guesthouses, that all depends on your travel wishes, we can even now and then camp if that would interest you. By making an enquiry through this page you get directly in contact with your guide. Feel free to Skype us or invite us for a call on a time that suits you. We have free calls to 42 countries worldwide among which free calls to the UK, USA, Australia and China. Countries that we cover to guide at this moment are Argentina with the mid to northern range of the Andes, north Chile with the Atacama desert, Bolivia Altiplano & rainforest, Colombia from Caribbean, Pacific to the Andes, Cuba from West to East, Brasil from Rio de Janeiro, Pantanal, Amazon, Chapada de Diamantina to the Atlantic rainforest and beaches, the mystic South of Peru with Colca canyon, Cusco, Titicaca & Machu Picchu. Some local festivals on the proposed itineries: a very enchanting festival of NW Argentina is the carnaval at Huamahuaca and San Pedro de Jujuy in February; at San Pedro de Atacama they celebrate Festival de San Pedro y San Pablo the last days of June, a blend of lively folk dancing, a thrilling rodeo, and processions that combine their Atacameño heritage into hispanic Catholic traditions, and the most important festival at Mendoza is the National Grape Harvest Festival (Vendimia) in the last days of February and first days of March. Day 1:Arrive in Salta and private transfer to your boutique hotel, La Candela or Khala boutique. Free afternoon for strolling around, taste some empanadas and some wines, or a privately-guided walk introducing you to the most traditional corners of this city, nicknamed “Salta La Linda, the Beautiful.” You can end the evening with a combination of traditional plates made in a local's kitchen with a folkloric dance peña, or visit a gourmet restaurant in the city. Day 2:After breakfast, we leave Salta and head towards the picturesque Calchaquíes Valleys, crossing the agricultural Valley Lerma to enter the impressive lunar landscape of Las Conchas Gorge. We visit some impressive rock formations and at Cafayate we arrive at the exquisite hotel Killa, hotel Paris-Texas or Vinas de Cafayate. After check in, take some time to relax and check out the view from the surrounding grounds of the hotel or stroll through the lovely village. Day 3:Enjoy a traditional breakfast. Later, we have a trip through vineyards and a bodega to learn about local wine production and specific flavors and grapes indigenous to the region. Afterwards, enjoy a wine tasting in the wine cellar, with the Torrontes grape variety, characteristically smooth and fruity in flavor, or the Malbec-Cabernet blend with its remarkable body and rich taste. In the midday we have various options as brief walk or a longer hike in the middle of the incredible rock formations of the gorge to be able to really get amongst the landscape, with its warm colors and view of the Cafayate Valley and dunes, and/or visiting local artesans. Day 4:In the morning, we head towards Cachi driving through small colonial villages over the spectacular N40. When arriving at the Quebrada de las Fechas gorge, enjoy a walk through the multicolored rock formations. In Molinos, we visit a small farm and a center of weavers and their old looms. Finally we arrive at Seclantas, a small village from where we can enter the Colte to visit the craftsmen along the way, as they practice their ancestral techniques making ponchos and blankets. In the evening, we arrive in Cachi and lodge in the Hotel Cortijo or hotel of your choice. Optional: to have an extra stay in between, when we reach Angastaco we can take a secondary road that takes us to Colome in 40 kms after which we reach the luxury Colome Estancia. Day 5:Free day for visiting artisans and shopping, participating in local excursions to Cachi Adentro, horse riding, and/or visiting pre-Inca and Inca ruins exploring the surroundings and make some small walks. Day 6:In the morning we exit towards Salta, crossing the Los Cardones National Park and the Encantado Valley to arrive around noon at the city. Take a stroll in town and enjoy some free time during lunch before leaving for the Humahuaca Gorge, a World Heritage Site. We will pass numerous villages with typical Andean architecture until arriving finally at the small town of Purmamarca to check into the hotel of your choice, La Comarca, El Viejo Algorrobo, Marques de Tojo. Your evening is to enjoy the ambiance of boutique shops, bars and gourmet restaurants. Alternatives: stay in Salta for 1 or 2 extra nights at a hacienda, at finca Los Los, estancia de charme - House of Jasmines or similar estancia in the Salta Area to relax and/or for horse riding. For birdwatchers stay in San Lorenzo for an extra day birdwatching at the cloud mountain forest near Salta. Day 7:A long and fascinating travel to San Pedro de Atacama passing salt lakes with sometimes hundreds of flamingos, crossing the Jamo pass of 4600m altitude. Over the pass we descend again to the Atacama desert known as the driest place in the world with green oases and views on the Lascar and Licancabur volcanoes. Hotel of your choice at San Pedro for 4 nights, Explora hotel de Larache, Casa Solcor Boutique, Takha Takha, Katarpe up to hostels managed by local indigenous organizations. Day 8:After your long journey a full morning to relax and stroll through this desert village, visit the archaeological museum, in the afternoon a visit to the surroundings, salt formations, viewpoints and the dunes of the moonvalley for sunset over the Andes. Day 9:Early departure to the geysirs of Tatio to see the steam condensed in the cold air and the sunrise coming in through the impressive steamclouds creating a mystical ambiance. After the visit we drive another 1.5 hours crossing the mountain to the Atacama village Machuca from where we make a short walk to a colonial church just above the village and bofedales (wet pampa lands) where the alpacas and lamas stroll and graze. At the end of the day we visit the beautiful thermal bath complex of Puritama to enjoy this long day in small natural hot pools before returning late afternoon to San Pedro de Atacama. 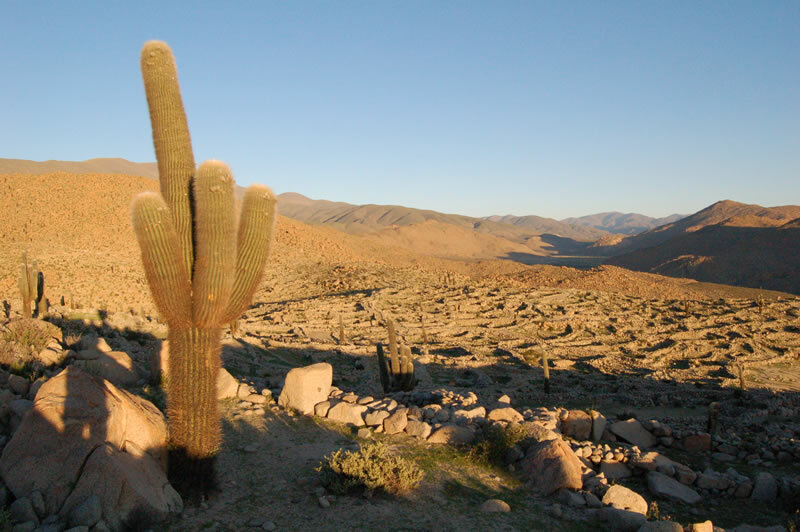 Day 10:In the morning we leave for Toconao, an oases village 40 km of San Pedro de Atacama. From here we continue to the Reserva Nacional de Los Flamencos at the salt plain of Salar de Atacama where we will see various flamengos and other birds. Back in Toconao, we may make a walk through the green oases into the canyon, surrounded by volcanic rock and desert like landscapes. We return in the afternoon back to San Pedro de Atacama to visit the ruin Quitor of the Atacameño culture with a view over the oasis of San Pedro and the salt plains and enjoy dinner in one of the lovely boutique restaurants. Day 11:Today we travel back to Argentina via a route passing the Miscanti en Miñiques volcanoes and heading to San Antonio de los Cobres where we will descend into the Cañon del Toro to Salta following the same trail as the Train of the Clouds (Tren de las Nubes). We stay overnight in Salta in a hotel of your choice. Day 12:Free morning to relax, in the midday or afternoon we leave to the Salta airport with a flight to Buenos Aires. North Western Argentina is the most fascinating area of Argentina offering variety of ecosystems, landscapes & culture. Here you find still the soul of indigenous cultures mixed with Spanish influences which led to the rise to the gaucho culture. Many travellers who are planning to go to Argentina focus only on Patagonia, however the Northwest of Argentina has to offer so much more for those who like to be surrounded by immense nature in silence and be off the beaten paths. In these desolated mountains you are absorbed by the elements, a natural way of life and the rhythm of trekking. There are only a few local families left in these remote mountains who try to keep making a living. You will meet the people of the fincas where you usually camp & experience the kindness and hospitality of your gaucho guides. In these mountains the post & priest still go by horse. Some local schools have a radio on solar energy, but that is all. You can only come here by horse or on foot. The itineraries we offer are unique, pass along several (pre) Inca archaeological sites, follow valleys with huge cacti, beautiful coloured canyons, and cross over passes between 3450 and 4600 metres high with views on snow topped volcanoes. You camp with your own tent during the trekking and a gaucho cook prepares your meals. Your luggage is transported by mules and there is time to make a walk after each day-ride or hike, go birdwatching & enjoy the flora and variety of landscapes. As the sun sets, the spectacular stars of the southern hemisphere lighten up the sky. You can relax at the camp & around a campfire with its peaceful atmosphere. The ideal ambiance to feel the timeless spirit of nature. The itineraries can be modified to your personal wishes including departure date, duration and amount of free days. As the gaucho families are living in the mountains and do not have a direct access to the telephone net, reservations & payments need to be fulfilled at least 7-8 weeks before departure time. We can arrange all transfers needed, make reservations for accommodations and offer several kinds of individual travel programs before or afterwards in the Northwest of Argentina, travelling with rental car or by bus. based on 2 persons travelling. See 10 day itinerary below. Price includes guidance of gauchos on horseback, transport of all luggage & food with mules, gaucho cook & meals, tent, camping equipment, hay for horses, camp fees & 2 personal horses (inc. for 3 free days). Not included: transfers, travel extensions, extra personal food & reservations of accommodations before departure and at the end. A 10 day trek starting from near Salta; this journey takes you through a great variety of landscapes from canyons, cactus valleys to a high pass with puna vegetation and the Toro canyon at the end. You arrive at the starting point by remise or taxi from Salta in the morning, where you will meet the gauchos that will guide you. At the end of the trek you camp or sleep in Santa Rosa de Tastil. The next morning you can visit the ruins of Tastil with sunset and either travel by bus in the midday to San Antonio de las Cobres or in the early morning to Salta. You start at an altitude of around 2500m, go over a pass of 4600m the last day and end around 3100m. The rides are suitable for riders with little experience or even people who have never ridden before. The horses are used to difficult terrain, are born in the mountains and are very relaxed. You can decide to do a main itinerary on foot, and when you get tired to jump on a horse for a moment to relax & enjoy the scenery with complete free attention. Note: The itineraries on foot are a little shorter and different then the horse riding itinerary we have mentioned here. Horseback rides for single persons are also possible. Nine day Andes crossing from Chile to Argentina. The legendary crossing of the Andes through the route taken by San Martín - Paso de Los Patos. You have magnificent views on the highest mountain of the Andes, the Aconcagua, of nearly 7000m. This unique crossing involves an exchange of horses and custom formalities on horse, as you ride from Chile to Argentina in the footsteps of the legendary San Martin, one of the liberators of South America. Group departures: only Dec, Jan, Feb, March. Meeting dates (meet in Santiago de Chile): contact us for the last dates, and upon request private departures at other dates (1 Dec. – late March), min 4-6 persons. 3150 USD per person. Min 6 riders. Hotels: double rooms. Supplement if 2-3 riders us$ 1900 per person. Supplement if 4-5 riders us$ 800 per person. Single supplement for hotels and camping tent: us$ 350. If requested we can provide return bus tickets to Santiago de Chile for us$50. Included: Accommodations (6 nights camping where everyone in the group is asked to help to the extent possible, 1 night hotel at Los Andes, Chile, 1 night hotel at Uspallata – double, triple rooms). Transfer Santiago de Chile – Los Andes at pre-set time, Los Andes - Los Patos, Barreal – Uspallata – Mendoza. English speaking guide, gauchos, horses, saddlebags, pack mules, camping equipment. Cooking equipment and table ware. First aid kits for people and horses. Oxygen bottle. Iridium satellite phone for emergency calls. All meals, wine and beverages during ride and others indicated in town. Luggage: 20 kilos per person plus saddlebags. Not included: International and domestic flights, travel and medical insurance, gratuities and all others not indicated. Tailormade self drive tours in NW Argentina: 9 to 21 day selfdrive programmes which take you through wide valleys, steep canyons, along cloudforest and over the Altiplano in Salta & Jujuy, NW Argentina. Extension to San Pedro de Atacama & Southern Bolivia as individual tailor made trip or with private guide-driver. We offer guiding services for those who wish to explore the area between Salta, San Pedro de Atacama, La Paz with a private guide-driver. We have more than 125 independent reviews on Responsible Travel on our destinations in Latin America from Cuba, Bolivia, Brasil, Peru, Colombia to Argentina. Contact us for a chat via Skype or Viber and ask for a tailor made itinery and quote. Day 1-2:You are brought by a remise or taxi from Salta to the start at a very small village at around 2500m. You travel along broad river beds through colourful canyons & rock formations. Day 3:You have a free day near a hacienda, in the middle of nowhere. Here you can see condors nestling in a huge cliff and puma trails in the riverbed. The day can be used to make a guided walk through the area, visit some gaucho families, several impressive pre-Inca petroglyphs, an indigenous pre-Inca village & an indigenous cemetery. You can just relax and take a bath in a river nearby and use this day to explore the decor of rocks & cacti a little further on foot on your own. Day 4-5:You travel through a long canyon to an impressive viewpoint near a pass of 3500m and a hacienda where the sunset can marvel you with a huge variety of colours. The next day you cross the pass and descend in a canyon until you reach several fincas in the middle of fields of giant cacti. Day 6-8:The next day you continue through a wide valley and visit the remnants of a large administrative Inca centre, which is rarely visited. You climb again to a pass of 3500m and camp just below the pass in wide open space. From here you first descend through a deep canyon and then start slowly climbing into a valley to 3600m high. You pass several haciendas & a local school. The children might be very interested to talk to you. Day 9:You have a free day to rest at the beginning of a long and steep climb for crossing a high pass the next day. You can make a small excursion on foot or by horse to have a view on a nearby snow topped volcano of around 6000m. Interesting to know is that the zone where we camp has been a workshop where indigenous people & Incas used to make their stone tools. They travelled over the same pass in past times. Day 10:In the early morning you ascend over a steep trail steadily to a pass of around 4600m high, with spectacular views in all directions on volcanoes & the altiplano. You lunch after the pass after which you descend in canyons of volcanic rock formations. On this altitude you still find big Azorella mosses, which become more & more rare in the Andes. You end in the Toro canyon on the foot of a mountain with the most impressive pre-Inca village of the south of Latin America. Day 1 :Arrive in Salta and private transfer to your boutique hotel, La Candela or Khala boutique. Free afternoon for strolling around, taste some empanadas and some wines, or a privately-guided walk introducing you to the most traditional corners of this city, nicknamed “Salta La Linda, the Beautiful.” You can end the evening with a combination of traditional plates made in a local's kitchen with a folkloric dance peña, or visit a gourmet restaurant in the city. Day 2: After breakfast, we leave Salta and head towards the picturesque Calchaquíes Valleys, crossing the agricultural Valley Lerma to enter the impressive lunar landscape of Las Conchas Gorge. We visit some impressive rock formations and at Cafayate we arrive at the exquisite hotel Killa, hotel Paris-Texas or Vinas de Cafayate. After check in, take some time to relax and check out the view from the surrounding grounds of the hotel or stroll through the lovely village. Day 3: Enjoy a traditional breakfast. Later, we have a trip through vineyards and a bodega to learn about local wine production and specific flavors and grapes indigenous to the region. Afterwards, enjoy a wine tasting in the wine cellar, with the Torrontes grape variety, characteristically smooth and fruity in flavor, or the Malbec-Cabernet blend with its remarkable body and rich taste. In the midday we have various options as brief walk or a longer hike in the middle of the incredible rock formations of the gorge to be able to really get amongst the landscape, with its warm colors and view of the Cafayate Valley and dunes, and/or visiting local artesans. Day 4: In the morning, we head towards Cachi driving through small colonial villages over the spectacular N40. When arriving at the Quebrada de las Fechas gorge, enjoy a walk through the multicolored rock formations. In Molinos, we visit a small farm and a center of weavers and their old looms. Finally we arrive at Seclantas, a small village from where we can enter the Colte to visit the craftsmen along the way, as they practice their ancestral techniques making ponchos and blankets. In the evening, we arrive in Cachi and lodge in the Hotel Cortijo or hotel of your choice. Optional: to have an extra stay in between, when we reach Angastaco we can take a secondary road that takes us to Colome in 40 kms after which we reach the luxury Colome Estancia. Day 5: Free day for visiting artisans and shopping, participating in local excursions to Cachi Adentro, horse riding, and/or visiting pre-Inca and Inca ruins exploring the surroundings and make some small walks. Day 6: In the morning we exit towards Salta, crossing the Los Cardones National Park and the Encantado Valley to arrive around noon at the city. Take a stroll in town and enjoy some free time during lunch before leaving for the Humahuaca Gorge, a World Heritage Site. We will pass numerous villages with typical Andean architecture until arriving finally at the small town of Purmamarca to check into the hotel of your choice, La Comarca, El Viejo Algorrobo, Marques de Tojo. Your evening is to enjoy the ambiance of boutique shops, bars and gourmet restaurants. Alternatives: stay in Salta for 1 or 2 extra nights at a hacienda, at finca Los Los, estancia de charme - House of Jasmines or similar estancia in the Salta Area to relax and/or for horse riding. For birdwatchers stay in San Lorenzo for an extra day birdwatching at the cloud mountain forest near Salta. Day 8: After your long journey a full morning to relax and stroll through this desert village, visit the archaeological museum, in the afternoon a visit to the surroundings, salt formations, viewpoints and the dunes of the moonvalley for sunset over the Andes. Day 9: Early departure to the geysirs of Tatio to see the steam condensed in the cold air and the sunrise coming in through the impressive steamclouds creating a mystical ambiance. After the visit we drive another 1.5 hours crossing the mountain to the Atacama village Machuca from where we make a short walk to a colonial church just above the village and bofedales (wet pampa lands) where the alpacas and lamas stroll and graze. At the end of the day we visit the beautiful thermal bath complex of Puritama to enjoy this long day in small natural hot pools before returning late afternoon to San Pedro de Atacama. Day 10: In the morning we leave for Toconao, an oases village 40 km of San Pedro de Atacama. From here we continue to the Reserva Nacional de Los Flamencos at the salt plain of Salar de Atacama where we will see various flamengos and other birds. Back in Toconao, we may make a walk through the green oases into the canyon, surrounded by volcanic rock and desert like landscapes. We return in the afternoon back to San Pedro de Atacama to visit the ruin Quitor of the Atacameño culture with a view over the oasis of San Pedro and the salt plains and enjoy dinner in one of the lovely boutique restaurants. Day 11: Today we travel back to Argentina via a route passing the Miscanti en Miñiques volcanoes and heading to San Antonio de los Cobres where we will descend into the Cañon del Toro to Salta following the same trail as the Train of the Clouds (Tren de las Nubes). We stay overnight in Salta in a hotel of your choice. Day 12: Free morning to relax, in the midday or afternoon we leave to the Salta airport with a flight to Buenos Aires. We started our Latin America tours in the nineties before moving here in 2000. We started offering both tailor made and group travels sharing our extensive knowledge and guiding experience throughout Latin America from Cuba to Argentina. We have an expertise that is unchallenged! Our many local contacts make all the difference when it comes to creating the special itineraries we provide and we are considered family by many of the people we work with, even encouraging outstanding local guides to start their own businesses as we once did. The dream we have is to make many more once in a lifetime experiences for our clients and to inspire their lives.